The Thai Ridgeback is a strong, protective dog who attacks cobras — yes, cobras! — and loves warm climates. The Thai Ridgeback has a muscular body with a strong back that is covered in dense hair. The dogs have a gray or bluish-gray tongue, and coat colors include black, blue, red and yellow. The ears are large, set high, triangular in shape, and both pricked and inclined forward. Thai Ridgebacks have dark, almond-shaped eyes that hold an expression of alertness. The tail is thick at the base and tapers to the tip. The dogs have extra fat that forms rolls at the back of their neck when they are alert. 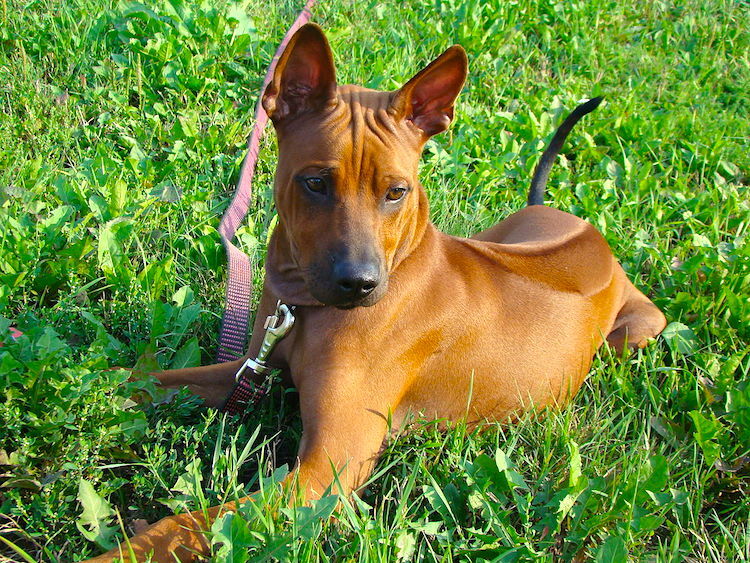 The Thai Ridgeback dates to the Middle Ages. Originally from Thailand, it was bred more than 400 years ago by farmers as a guard dog, a hunting dog and, oddly, a cobra-killing dog. Yes, the Thai Ridgeback can and will attack a cobra when confronted with one. The breed is highly protective of its family. Being isolated in Thailand did not give this breed much opportunity to introduce other genes into the pool; however, the isolation proved to be a good thing for breed purity. When San Francisco native John Sterling visited Thailand in 1994, he encountered 4 of the dogs known to the natives as Mah Thai Lung Ahn. Sterling found a veterinarian who introduced him to breeders, and he bought a 5-month-old male puppy he called Sakorn and 2 blue females named Bent and Navinee. Sterling brought all these dogs back to San Francisco. In 1994, Sterling entered his 2 youngest Thai Ridgebacks in an American Rare Breed Association dog show in Washington, D.C. In 2003, Sterling returned to Thailand to continue his breeding program. The American Kennel Club began including the breed in its Foundation Stock Service program in 1997. This breed is also protective, tough, alert and active. Thai Ridgebacks need to be socialized from an early age. Because they were bred to be guard dogs, they will mistrust strangers unless properly socialized. “They can be aggressive if they aren’t socialized correctly,” says Stead. Thai Ridgebacks can be difficult to train. “If you are looking for a breed who you want to always follow your commands and to keep out of trouble, this is not the breed for you,” Stead warns. However, when trained and socialized properly, the Thai Ridgeback makes for a loyal companion. MEDIUM: Thai Ridgebacks require long walks and plenty of exercise to stay out of trouble. They will do fine in an apartment as long as you take them out for walks and play with them regularly. Note that the Thai Ridgeback was bred in a warm climate and will not do well in colder climes. If you live in an area with low temperatures, protect your Thai Ridgeback with sweaters or coats and pay attention to the dog’s behavior while outdoors. LOW: This short-coated breed needs brushing only once a week or so to remove dead hair. Bathe the dog as necessary. Thai Ridgebacks are still relatively rare in Western countries, although their numbers are growing. When searching for a Thai, call around to shelters to see if they have one. 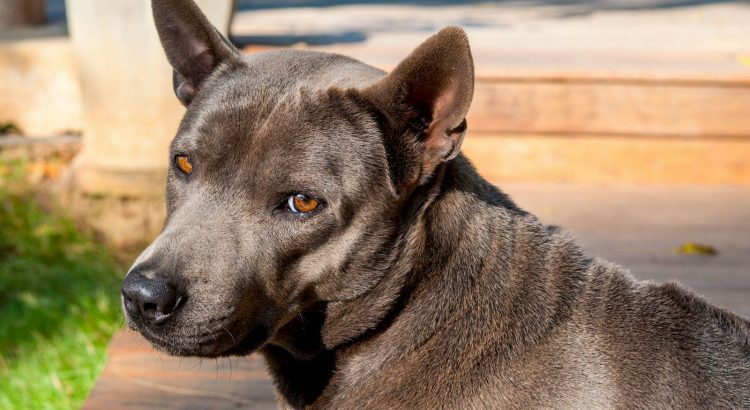 You can also look into rescues geared specifically toward the Thai Ridgeback. A great place to start is Petful’s free Pet Adoption Center. If you opt to buy from a breeder, however, be sure to familiarize yourself with the warning signs of a puppy mill and avoid inadvertently supporting one. Good breeders will have health histories on their animals, and most will allow you to tour the facilities where the dogs are kept.